San Clemente, CA – THE BIGGEST STAGE in the sport of kart racing. 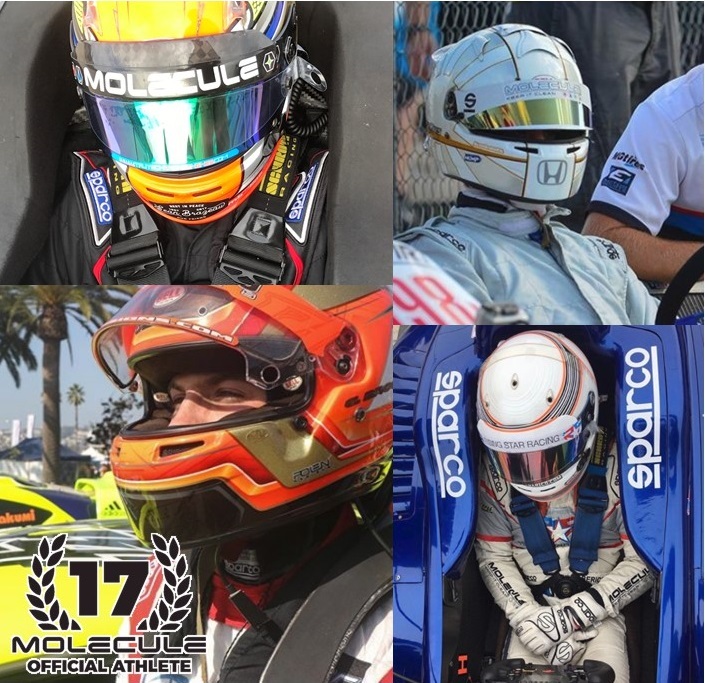 The 21st rendition of the SKUSA SuperNationals will see four Molecule Athletes take on the best of the best in the kart racing in the annual Las Vegas event. The four drivers, all hailing from California, will take on arguably the most competitive class at the event, known as X30 Senior. Nicky Hayes clinched the ProKart Challenge Championship in the category, while Jake Craig is the defending SuperNationals Champion. Returning to their roots, Red Bull GRC winner Christian Brooks and Indy Lights veteran Neil Alberico will be looking to show they still have what it takes against karting’s best. “Stoked to be going back to the SuperNats in a while. It’s going to be fun to race against the up and comers” Rising Star Racing Indy Lights driver Neil Alberico gushed. With only a warm-up kart race for preparation in October, Alberico returns to the kart seat after the last six years focused on the Mazda Road to Indy. Drivers take on the temporary circuit setup on the famed Las Vegas Boulevard with ontrack action kicking off Wednesday. Follow the @moleculesports social channels for an insider’s look at competing at the marquee event. “It’s great to have four true contenders carrying the Molecule colors this year. We take great pride in knowing every Molecule Athlete is truly dedicated to their craft,” explained Kyle Kuntze, Molecule Sales and Marketing Manager. “All eyes in the sport are focused on Vegas this weekend and we’re ready to see Molecule on the podium again. This entry was posted in Motorsports. Bookmark the permalink.